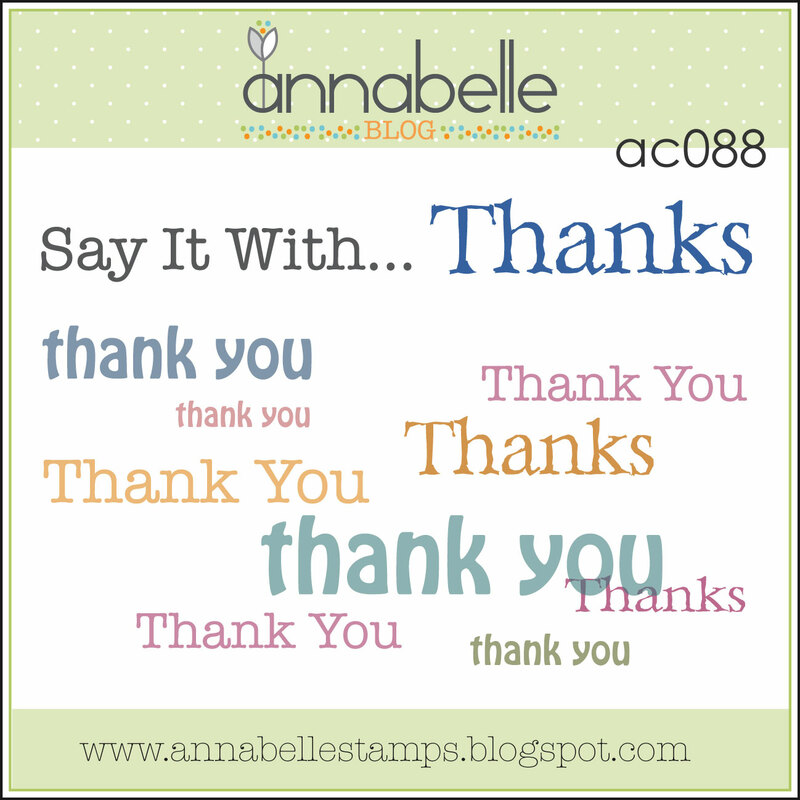 Today at the AnnaBelle Stamps blog we're Saying It With Thanks. I made the pink panel by stamping Backgrounds By Design 1 in white pigment ink on some Lollipop Bazzill Card Shoppe cardstock. I love how it's turned out! The flourish is from the Flourishes stamp set. I black embossed it then attached Licorice Sprinkles on the dots. How cool is that!? And the sentiment is from Fanciful Flowers, black embossed on some vellum. 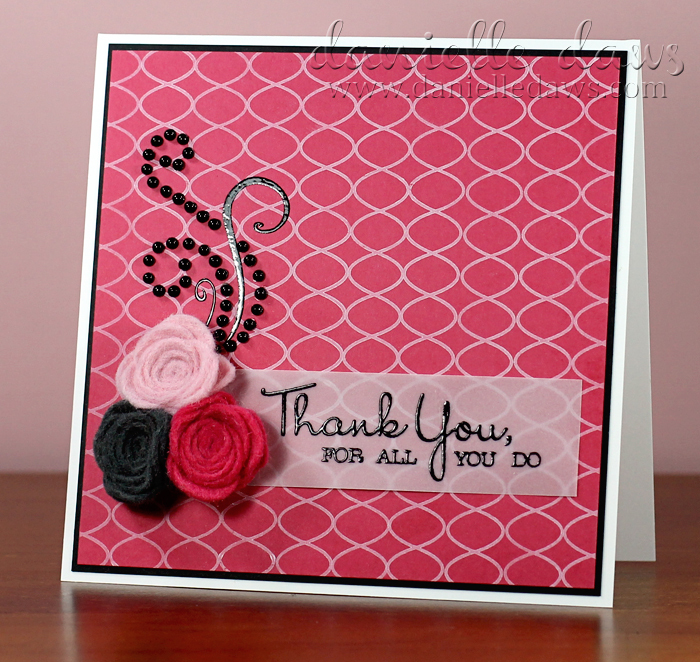 I also used the current Colour Q Challenge for this card - LOVE this combo! And I'm entering the WOW! Embossing Powder Challenge for October too. Amazing Danielle! This bg looks fantastic, now I have just added yet another stamp set to my ever groaning list. Thanks again for the inspiration! Love the black embossing of both the flourishes and the senitment. They bot are just so shiny and gorgeous:) Bg is wow! Love, love, love your card Danielle! 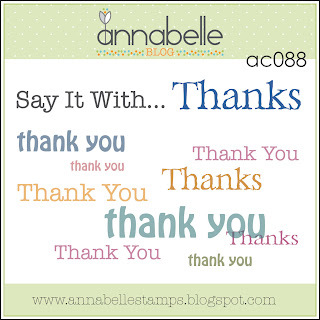 You have used three of my favourite AB stamp sets and love all the embossing, love embossing lol, I'm so loving your card! 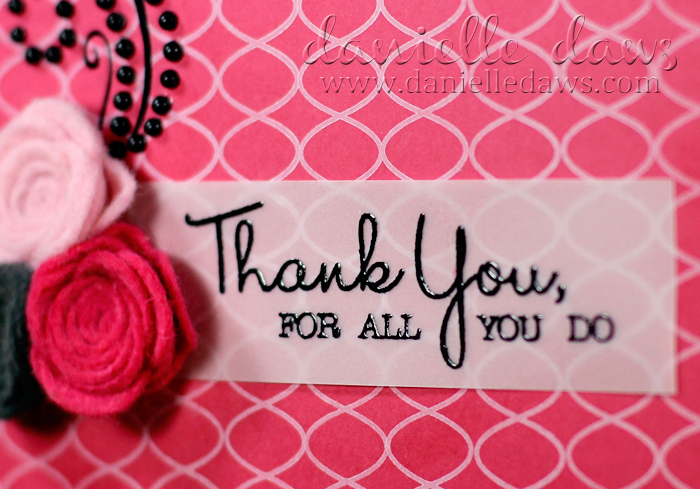 Striking card, Danielle, love the design of your card! Thanks for joining in the fun at the colourQ this week. Danielle, this is perfect! 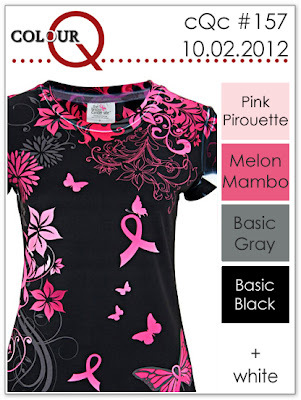 I love that shade of pink! So pretty! Loving the rolled felt roses...and great colors!! Perfect embossing on vellum - and on such a stunning card too. Thanks for playing along with us at WOW! Embossing Powder October Challenge again this month, and good luck!